The Timber Strike of 1935 greatly effected the nation's woodworking industries for the whole of its one-month duration. It was considered to be one of the largest-scale strikes to have been experienced in the Pacific Northwest and, since the majority of the nation's wood came from this region, furniture factories were also effectively shut down. The aftershocks of the strike were felt immediately, as the Northwest's stronghold on the timber industry led to a dearth of available wood for common construction and manufacturing jobs, making even the assembly of a chair difficult. As strikers campaigned to fight inadequate working conditions by joining forces with established unions, suffered the indignities of negative press and attempted to manage conflict within their own ranks, others, like furniture manufacturers, waited for wood production to resume so they could continue with their own jobs. The production halt on construction-grade wood by saw mills and logging establishments had far-reaching effects on the economy, the influence of unions, and various woodworking industries. As strikers were temporarily left without work, so were workers whose livelihoods depended on the receipt of this raw material, such as furniture manufactures. To compound matters, related unions began showing their solidarity with the timber workers. The International Longshoremen's Association, for example, refused to transport wood that was supplied by non-unionized timber workers. Wood supplies grew lower, and remaining reserves were carefully vetted for distribution. The timber workers organized themselves as the Northwest Council of Sawmill and Timber Workers Unions, a part of the United Brotherhood of Carpenters and Joiners of America, and had elected a man named A.W. Muir to represent their interests during the strike. Disagreement within and between ranks about Muir's competency and political agenda were so widespread that they caused the International Brotherhood of Carpenters and Joiners to publicly denounce Muir as their spokesperson. Torn between a common cause and a heightening suspicion of Muir, the strikers were pushed to resolve tensions between employers and workers as quickly as possible. Despite this, the United Brotherhood of Carpenters showed their support of the timber strikers by claiming that wood planed for any type of woodworking, including furniture manufacturing, should not be handled unless their union were recognized and their consequent demands met. With violence surrounding the strike reaching a fever pitch, state police forces and the National Guard were called in to restore order. 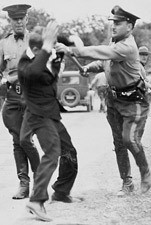 The clashes between protestors, employers and scabs resulted in gassings, injuries and even fatalities. About a month after the strike began, employers offered strikers a compromise: wages would be increased, and shorter work weeks would be offered, but acknowledgment of the strikers as part of a legitimate union would not be granted. Soon after the proposal, timber strikers returned to work, providing furniture manufacturers with their necessary material of wood, and with the renewed goal of eventually forming a powerful, unstoppable union capable of protecting its members. 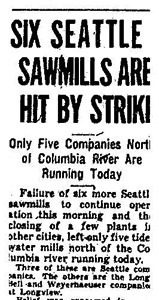 The Timber Workers Strike of 1935: Anti-Labor Bias in The Seattle Star ��� This report discusses the negative press that the Timber Strike of 1935 experienced. The Timber Strike Wanes ��� The Oregon History Project provides a digitized version of an authentic newspaper report about the Strike. Timber Workers ��� The Center for Columbia River History gives a brief overview of the lumber industry, including selected first-hand accounts. Unions in The Timber Industry from 1917 to 1947 (PDF) ��� Here, the unions' roles during the Timber Strike of 1935 are discussed. 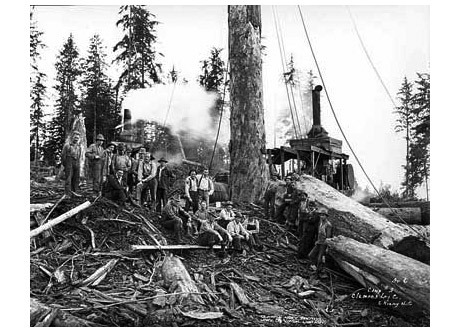 Selected Timeline of Pacific Northwest Labor History (PDF) ��� A breakdown of the Pacific Northwest's labor history, including Timber Strike information, can be found here. Pacific Northwest Lumber and Timber Timeline ��� This is another lumber and timber industry timeline that includes national events to help put the Timber Strike into perspective. Tempest in the Timber ��� Details about the timber industry, including Aberdeen's strike conditions, can be read here. Guide to the Union Labor Company Records, 1854-1960 ��� The Online Archive of California offers access to its collection of Union Lumber Records. Congress of Industrial Organizations ��� The Gilder Lehrman Institute of American History provides detailed information about the Congress of Industrial Organizations and how it relates to contemporary events and politics. Northwest Timber Industry Lumbering Strike Riots ��� Washington State University offers scanned copies of newspaper clippings about the Timber Strike of 1935. The Rise and Fall of the Pacific Northwest Log Export Market (PDF) ��� This website documents the lumber trade's peaks and valleys. The Timber Industry ��� This is an academic page dedicated to deconstructing the timber industry and its effects on the nation throughout history. 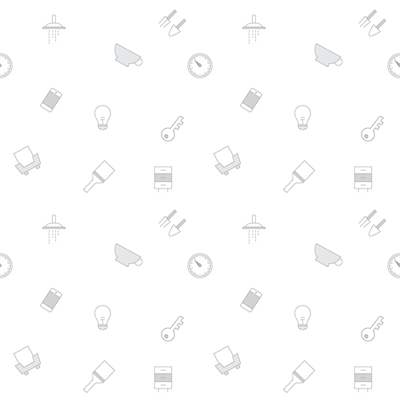 History of Logging ��� The History Channel offers its summation of the logging industry.